If you’re in the UK and waiting for the release of the Sony Xperia SP then there’s good news as the phone is now available on T-Mobile UK. The carrier is the first UK network to launch the Xperia SP although it will also soon arrive with others such as EE, Orange, Vodafone, Three and O2. We previously told how Phones 4u was taking pre-orders with deliveries of the Sony Xperia SP beginning from May 3 but T-Mobile has got to the mark early and the Xperia SP is also extremely competitively priced with the network. The price with T-Mobile is Â£249.99 on PAYG (Pay As You Go) and those who take advantage of this deal will also need to buy Â£10 of PAYG airtime. In theory, as this is SIM-locked, it should also be compatible with EE, T-Mobile’s sister network and of course EE has a 4G LTE network. The Sony Xperia SP is a very decent mid-range Android handset and is powered by a 1.7GHz Qualcomm Snapdragon dual-core processor with a 4.6-inch TFT display that has resolution of 1280 x 720 and 319ppi, 1GB of RAM and 8GB of internal storage (expandable via microSD up to 32GB). The Xperia S also sports an 8-megapixel rear camera with autofocus, LED flash and 1080p video capture, as well as a VGA front-facing camera and runs Android 4.1 Jelly Bean. To find out more or to purchase the Xperia SP in black head to T-Mobile here. The phone is also available in white. All in all this is a very acceptable smartphone with a very appealing design. 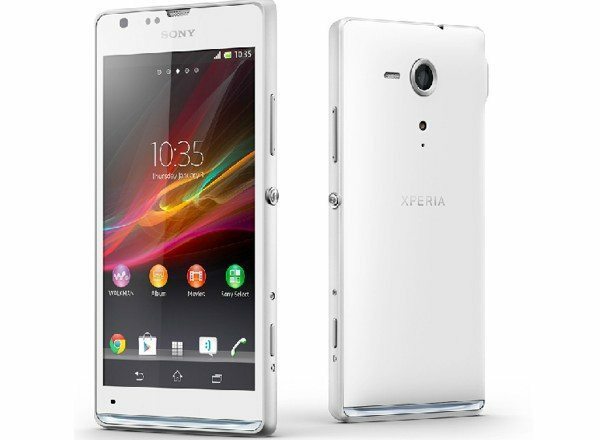 Will you purchase the Sony Xperia SP on T-Mobile and do you agree with us that this seems to be a very reasonable price? UPDATE: Since we published this article it has come to light that although T-Mobile currently has the Xperia SP for sale on its website and it looks as though it is for sale, it actually also states that delivery could take up to 30 days so it appears that this item may not be immediately available after all. Just played with this a bit at a showroom. It looks fairly decent – though the transparent strip with lights at the bottom does look a bit out of place.